We are committed to ship every order the same business day if received before 4:00 PM ET Monday through Friday. 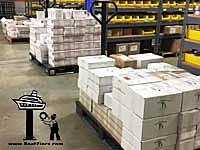 We provide FREE SHIPPING for orders over $100.00 to any destination within the United States, to FPO and APO addresses, or to one of the U.S. territories/possessions (e.g., the U.S. Virgin Islands, American Samoa, Micronesia, Guam, Marshall Islands, Northern Mariana Islands, Palau). United Parcel Services (UPS) Ground. Shipping fees only apply if your order is under $100.00, or if you select an expedited shipping service. Follow these simple steps to calculate shipping on your order. Once you have entered all your items into the Shopping Cart, scroll about 1/2 way down the page and you will see the Shipping Calculator. For U.S. Orders, enter your Zip Code, select United States, and select the Shipping Method from the drop-down box, then click 'Apply'. For International Orders, enter your Zip Code or 00000 if your country does not use zip or postal codes, select your country from the drop-down list, select International Mail as the shipping option, then click 'Apply'. Immediately after you submit your order an Order Confirmation will be sent to your email address. You will then receive a second email that confirms the shipment and provides a tracking number that can be used to monitor the shipment's progress at at usps.com or ups.com. USPS tracking numbers start with "9405", while UPS Ground tracking numbers start with "1Z0A". USPS Priority Mail International packages have tracking numbers that start with "CJ". If you select USPS Priority Mail, orders under $100.00 cost between $4.95 to $13.65 to ship (depending on weight and distance), while those over $100.00 ship free. Orders are typically delivered within 2 to 3 days, but may require an extra day or so to arrive in Alaska, Hawaii, Puerto Rico, or to one of the U.S. territories or possessions. Click here to see the time in transit map for USPS Priority Mail. You may also specify a PO box or U.S. military address. Track the progress of your package at www.usps.com. UPS Ground delivers Monday through Friday and cannot deliver to PO boxes. The transit time from our Hudson, MA warehouse to your location can be found here. If it is Friday and you need your order on Saturday, you must call us to make arrangements as packages shipped on Friday via UPS Next Day Air service are normally delivered Monday. To receive your order Saturday, UPS charges a $15.00 delivery fee in addition to the Next Day Air charge. Please be aware that UPS charges $13.40 for correcting delivery addresses they deem incomplete, inaccurate or no longer valid. This fee will be charged to you if you enter a delivery addresses that UPS personnel find troublesome. BoatZincs.com now offers shipping via DHL International Shipping. The DHL service offered is called 'Express Worldwide' with transit times of 3 to 5 days on average depending on destination. Just select DHL (email for shipping rate) from the dropdown Shipping Method box. We will email you the DHL rate and, if you approve, the shipping rate will be added to your order. 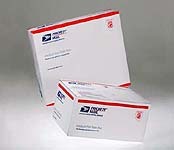 We also use International Mail offered by the United States Postal Service with its 200+ international partners. Maximum weight: 20 lbs per box (or the limit set by the destination country). Price: Rates begin at $47.95 USD for a Medium Flat Rate Box to Canada, and begin at $73.90 USD for all other countries. Please call for an exact quote. Insurance: included in shipping price. Delivery: typically between 10 days to 2 weeks. See the list of countries here: Index of Countries and Localities. International Mail does not include any duties or taxes that may levied by inbound custom offices. Note: Due to poor delivery service, we refuse to ship to Mexico and Spain via International Mail. Instead select UPS Worldwide Expedited, DHL, or Federal Express. Are you local and prefer to pick-up your order? No problem, just select Customer Pickup from the Shipping Options drop-down list on your order and specify when you need it. Our pick up location is 569 Main Street, Hudson, MA 01749. To receive free shipping, orders must be $100.00 net and ship to an address in the U.S.
For orders that qualify for free shipping, we reserve the right to select the most economical shipping method, using either UPS Ground or USPS Priority Mail. Expedited shipments and shipments outside of the U.S. do not qualify for free shipping. Commercial anodes and special orders do not qualify for free shipping. Customer satisfaction is our highest priority. It really is, as without satisfied customers we indeed have nothing. If you are not 100% satisfied with any of our merchandise for any reason simply return it to us within 30 days and we’ll issue you a refund to your credit card or PayPal account. If your return is made after 30 days, we will issue a coupon code credit towards a subsequent purchase from our store. Refunds are for merchandise that is returned to us in good condition. Returned merchandise must be properly packaged and arrive back to us in original condition. Specifically, anodes that have oxidized due to exposure to water or weather may not be returned. All shipping fees you've incurred are not refundable, including the cost of "free" shipping if the balance of your order falls under our $100.00 threshold for free shipping. This Return policy also applies to orders that are returned to us as "undeliverable". All shipping costs will be deducted from the amount refunded. If a package is refused at delivery, return shipping will be deducted from the amount refunded. Anodes that are returned may be assessed a 20% restocking fee to cover the costs associated with packaging, materials, and credit card processing fees along with the actual cost of outbound shipping being deducted from any refund. Items classified on your order as "Special Order" are not returnable. If you have any questions, drop us an email at sales@BoatZincs.com or call us at 978-841-9978.